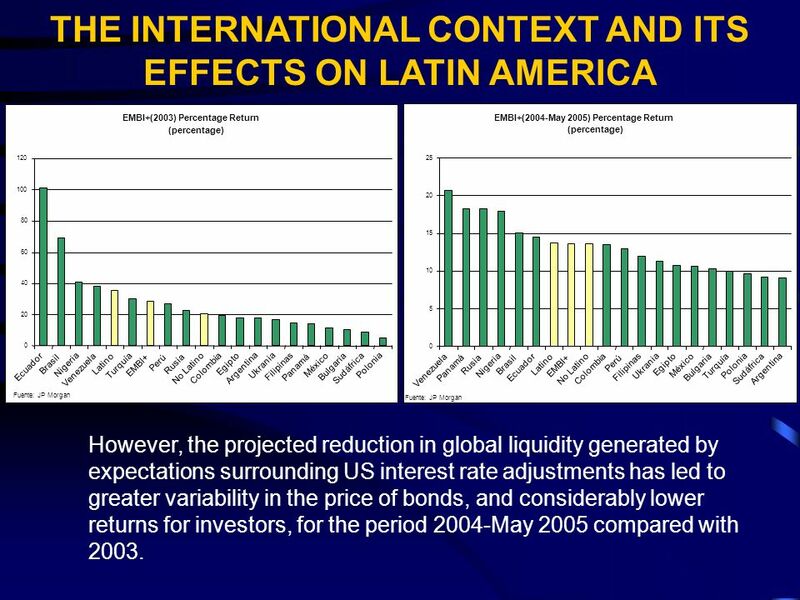 World Economic Imbalances and their Impact in Latin America LILIANA ROJAS-SUÁREZ Center for Global Development Mexico, June 2005. 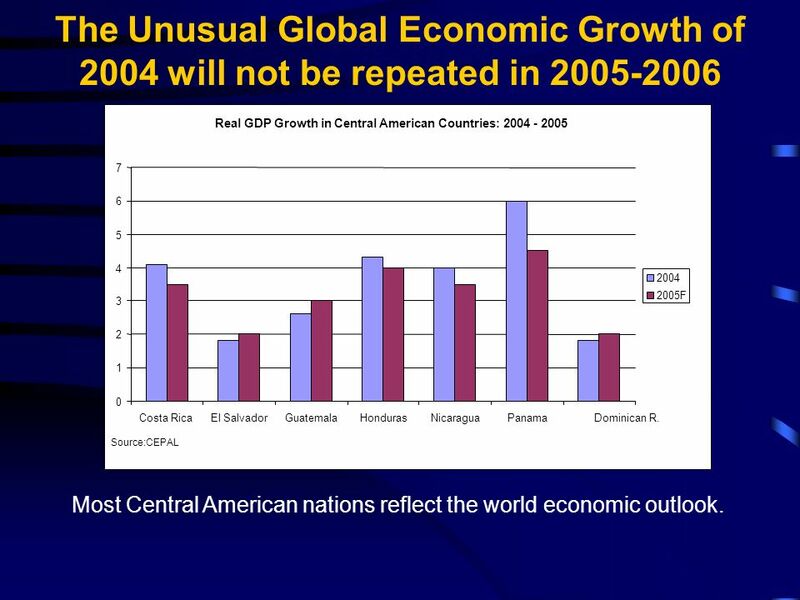 2 Summary In contrast with 2004, 2005 is a year of very varied economic growth among industrial nations. While economic recovery is expected to continue in the US, and Latin America is expected to benefit in general from this recovery, European and Japanese growth appears weak. 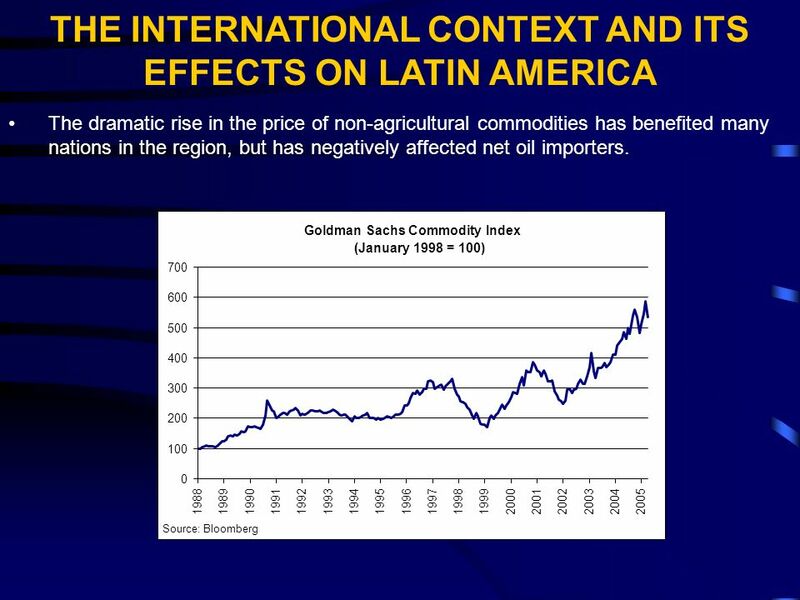 The extremely high prices of non-agricultural commodities benefit the fiscal accounts and balance of payments of many nations in the region. 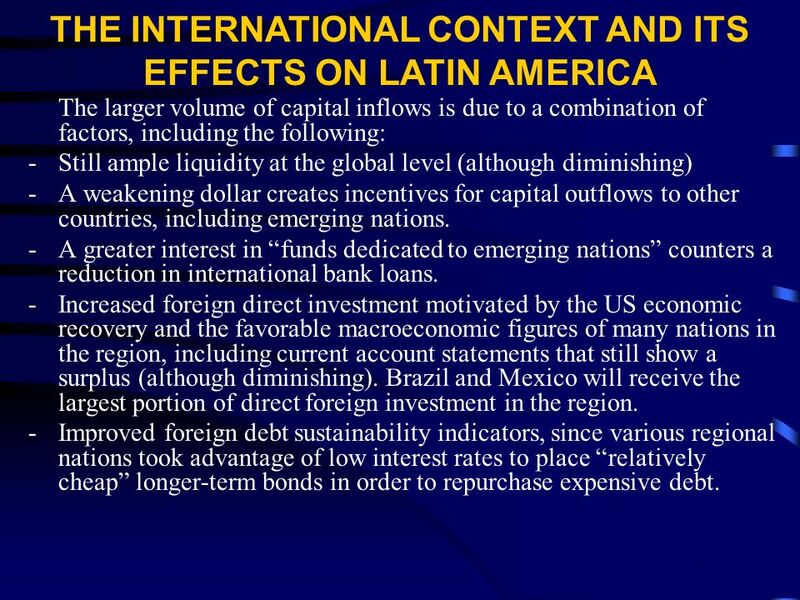 Latin America has also benefited from very low international interest rates. 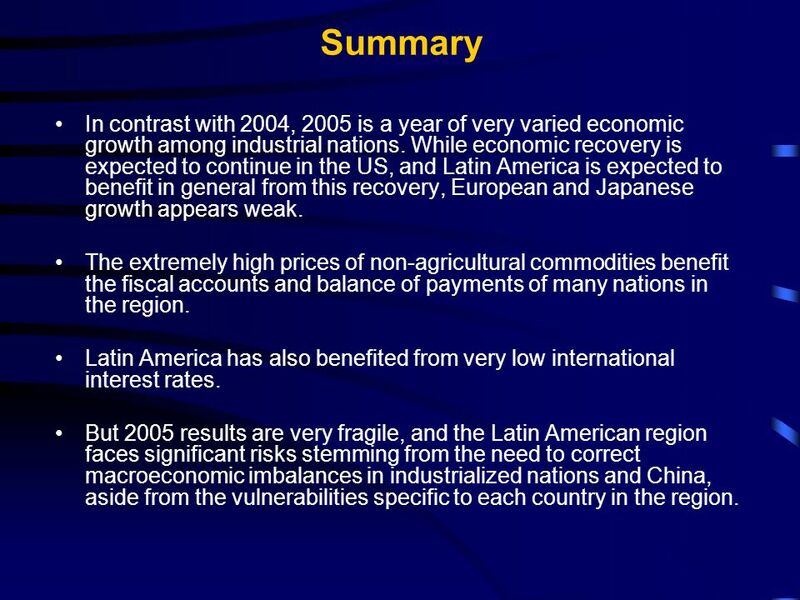 But 2005 results are very fragile, and the Latin American region faces significant risks stemming from the need to correct macroeconomic imbalances in industrialized nations and China, aside from the vulnerabilities specific to each country in the region. 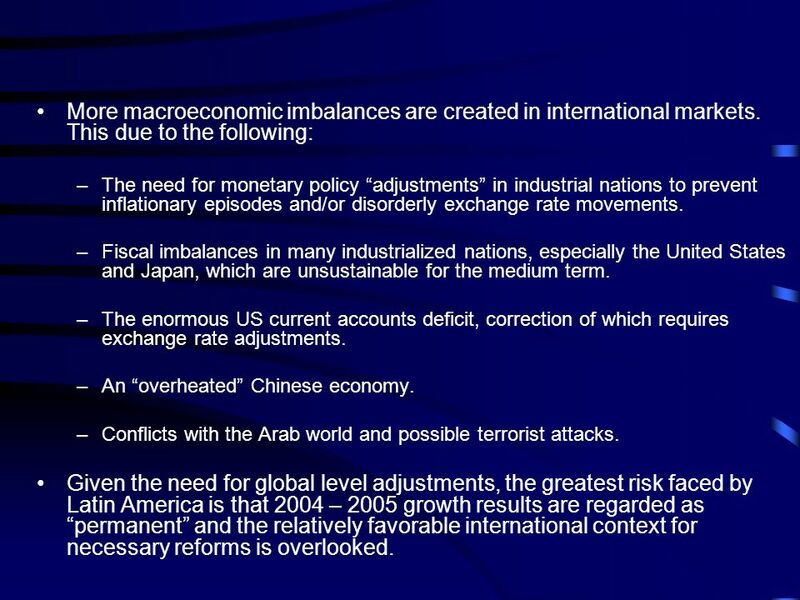 3 More macroeconomic imbalances are created in international markets. 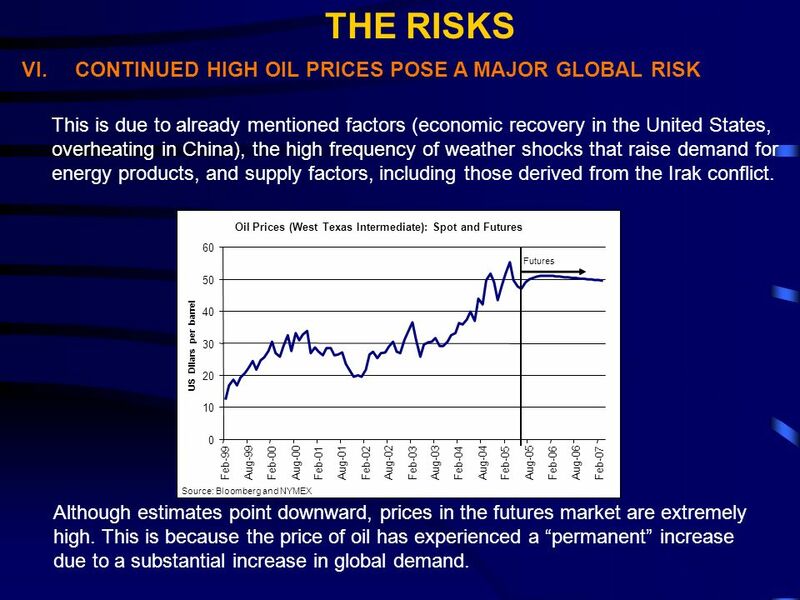 This due to the following: –The need for monetary policy adjustments in industrial nations to prevent inflationary episodes and/or disorderly exchange rate movements. –Fiscal imbalances in many industrialized nations, especially the United States and Japan, which are unsustainable for the medium term. 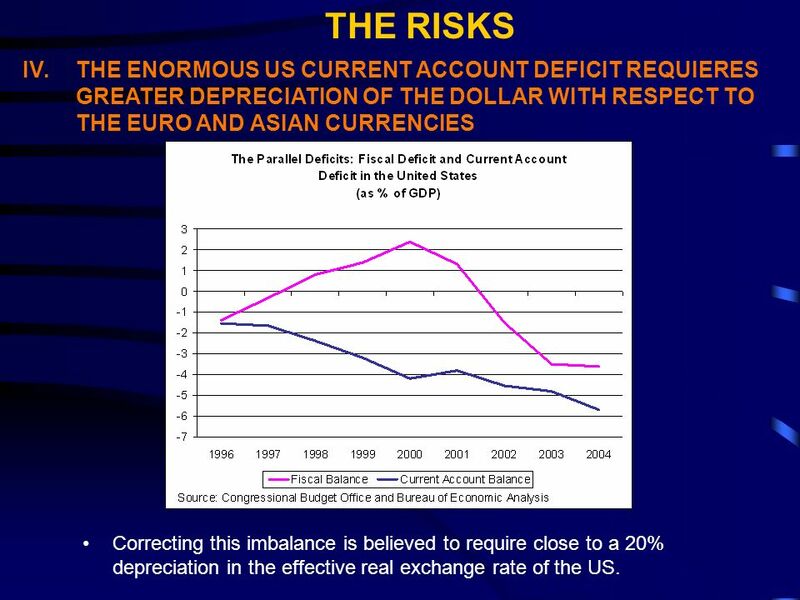 –The enormous US current accounts deficit, correction of which requires exchange rate adjustments. 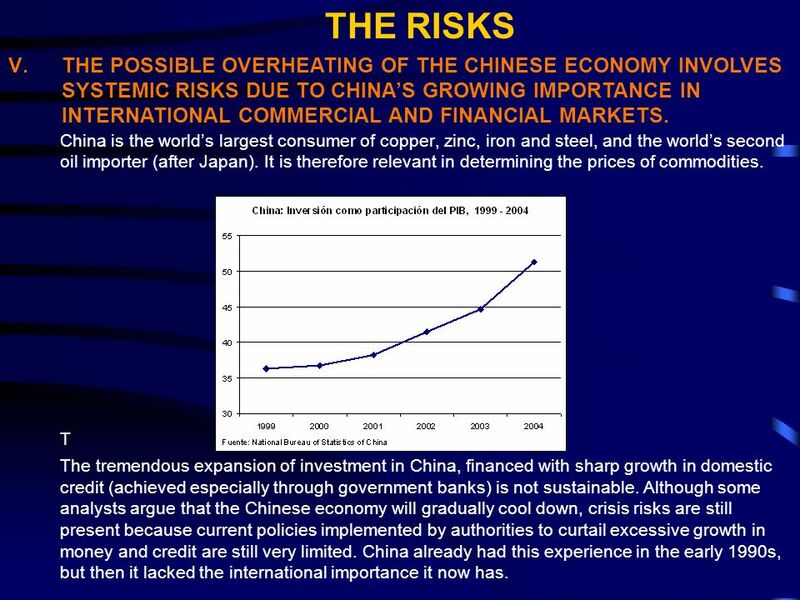 –An overheated Chinese economy. –Conflicts with the Arab world and possible terrorist attacks. 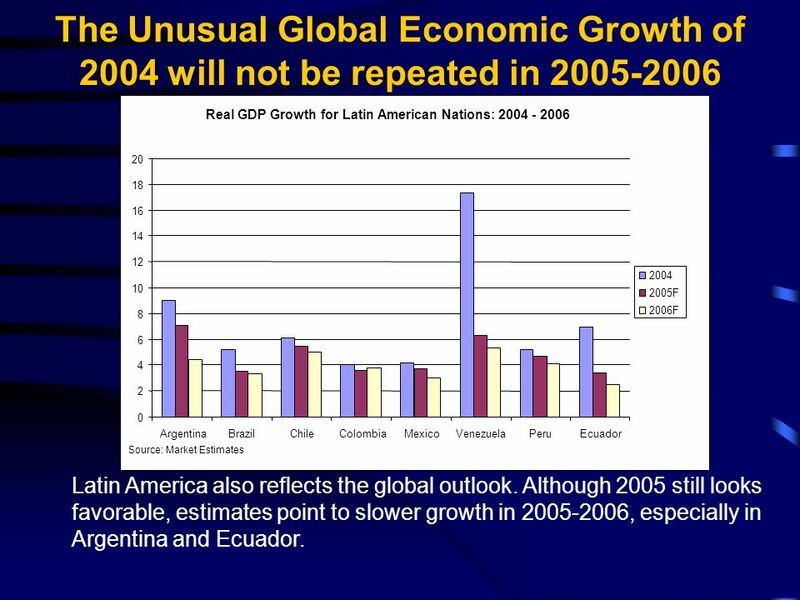 Given the need for global level adjustments, the greatest risk faced by Latin America is that 2004 – 2005 growth results are regarded as permanent and the relatively favorable international context for necessary reforms is overlooked. 7 I.In contrast with 2004, this year the US Federal Reserve is less worried about consolidating the economic recovery and more about inflation. That is why rates will rise continuously. 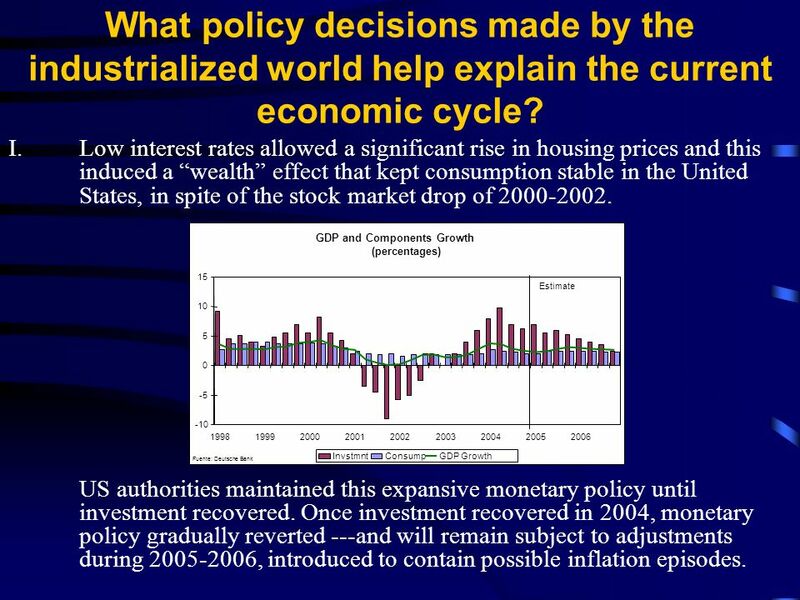 What policy decisions made by the industrialized world help explain the current economic cycle? 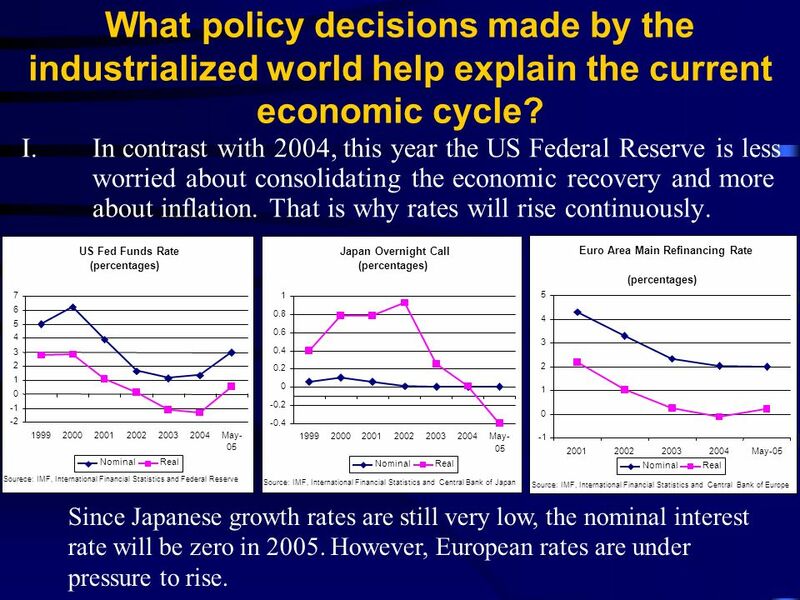 Since Japanese growth rates are still very low, the nominal interest rate will be zero in 2005. However, European rates are under pressure to rise. 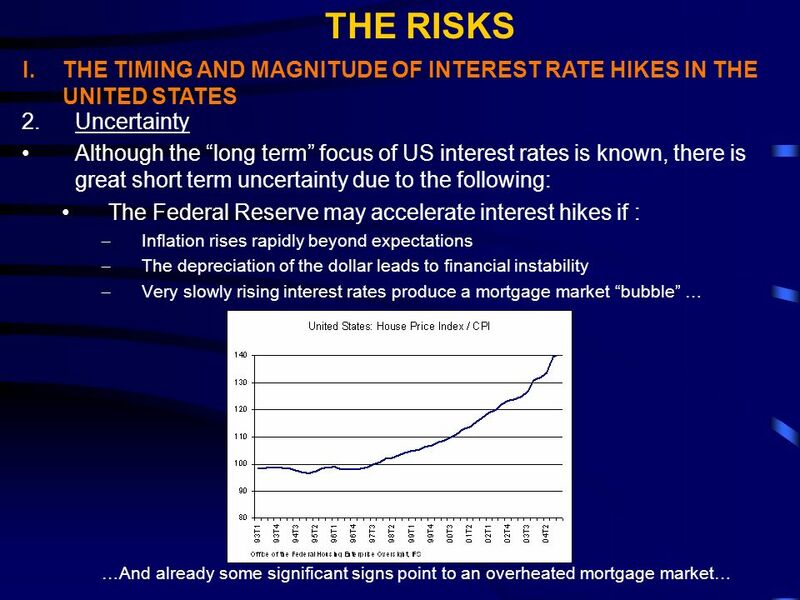 8 I.Low interest rates allowed a significant rise in housing prices and this induced a wealth effect that kept consumption stable in the United States, in spite of the stock market drop of 2000-2002. US authorities maintained this expansive monetary policy until investment recovered. 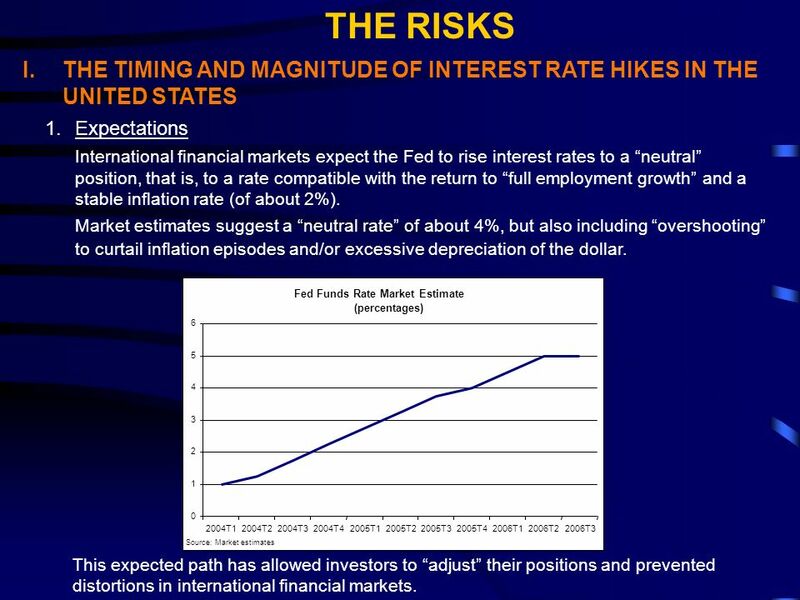 Once investment recovered in 2004, monetary policy gradually reverted ---and will remain subject to adjustments during 2005-2006, introduced to contain possible inflation episodes. 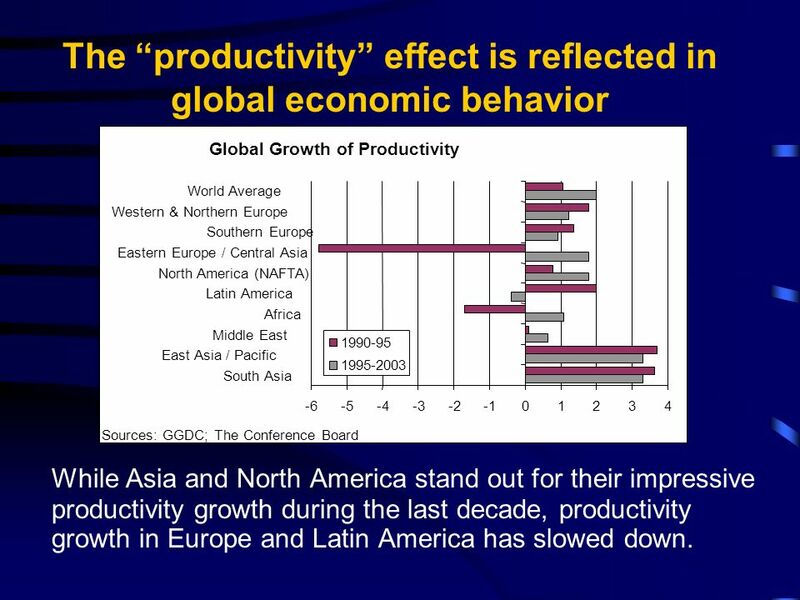 What policy decisions made by the industrialized world help explain the current economic cycle? 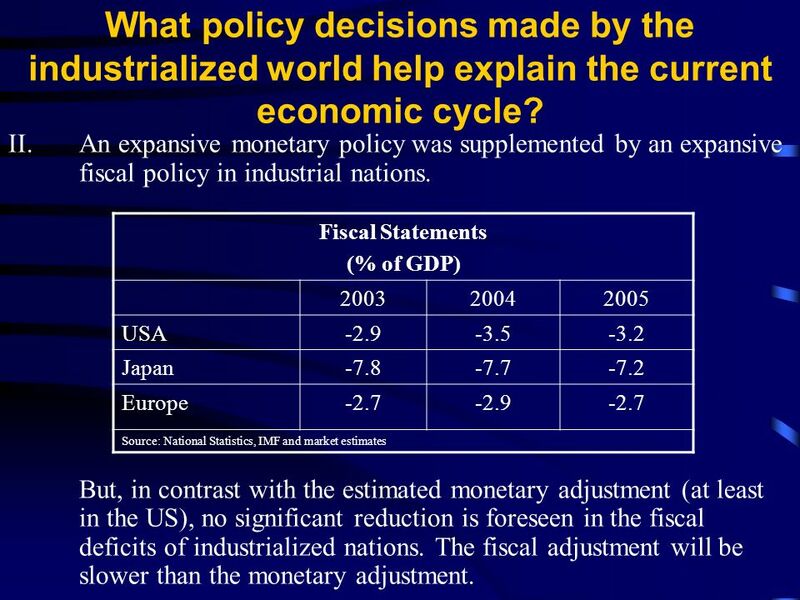 9 II.An expansive monetary policy was supplemented by an expansive fiscal policy in industrial nations. But, in contrast with the estimated monetary adjustment (at least in the US), no significant reduction is foreseen in the fiscal deficits of industrialized nations. The fiscal adjustment will be slower than the monetary adjustment. Fiscal Statements (% of GDP) 200320042005 USA-2.9-3.5-3.2 Japan-7.8-7.7-7.2 Europe-2.7-2.9-2.7 Source: National Statistics, IMF and market estimates What policy decisions made by the industrialized world help explain the current economic cycle? 10 III.The export-centered growth strategy pursued by China and other Asian emerging nations has increased the global products supply. 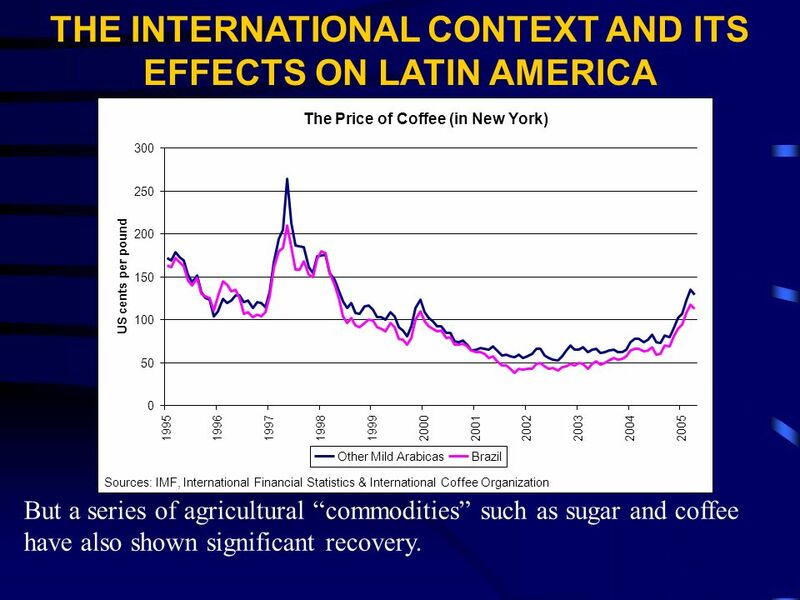 This main factor helps explain the coexistence of expansive policies with low inflation levels in the industrialized world. 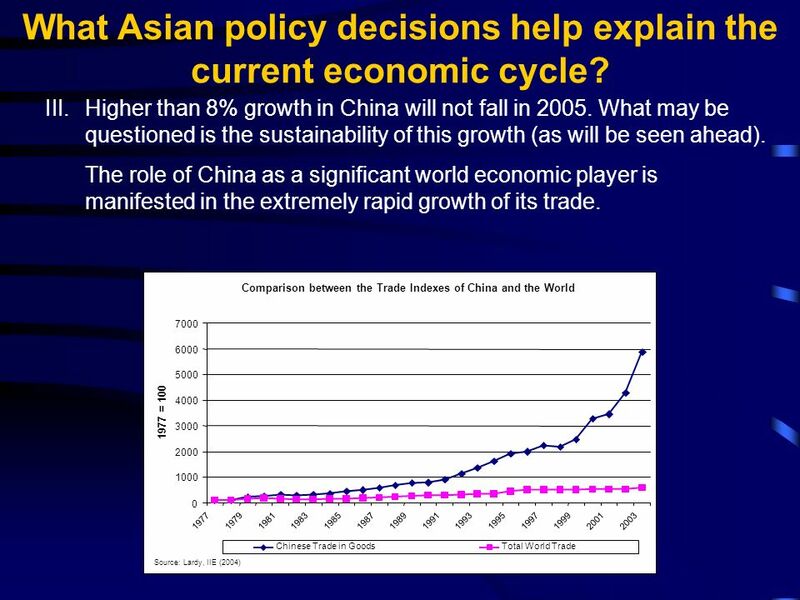 What Asian policy decisions help explain the current economic cycle? 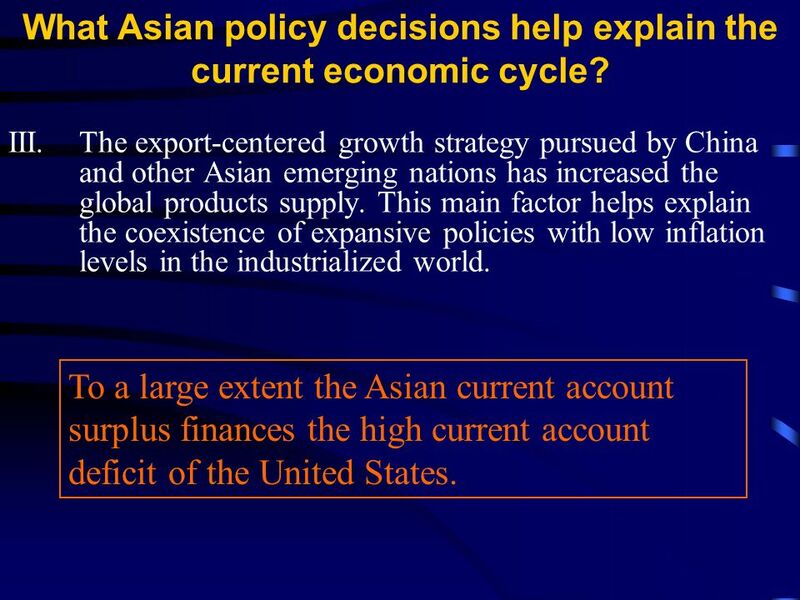 To a large extent the Asian current account surplus finances the high current account deficit of the United States. 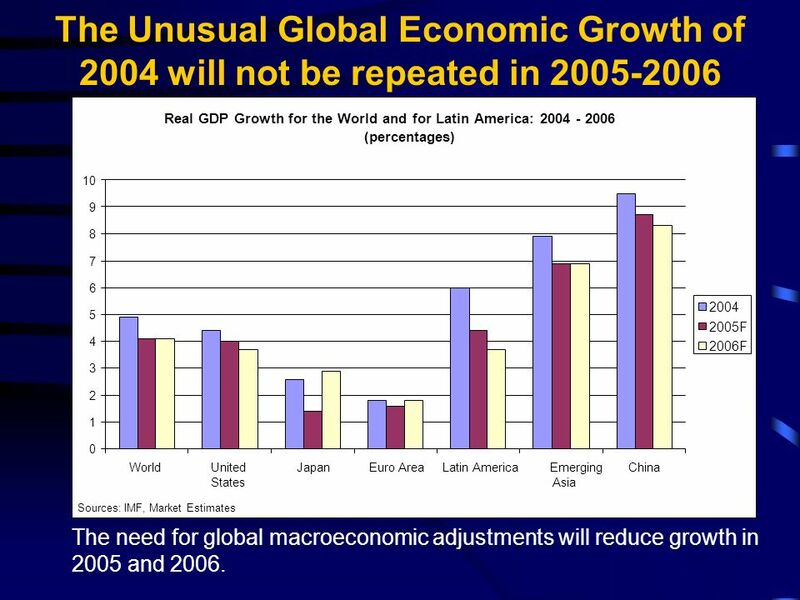 11 III.Higher than 8% growth in China will not fall in 2005. What may be questioned is the sustainability of this growth (as will be seen ahead). The role of China as a significant world economic player is manifested in the extremely rapid growth of its trade. What Asian policy decisions help explain the current economic cycle? 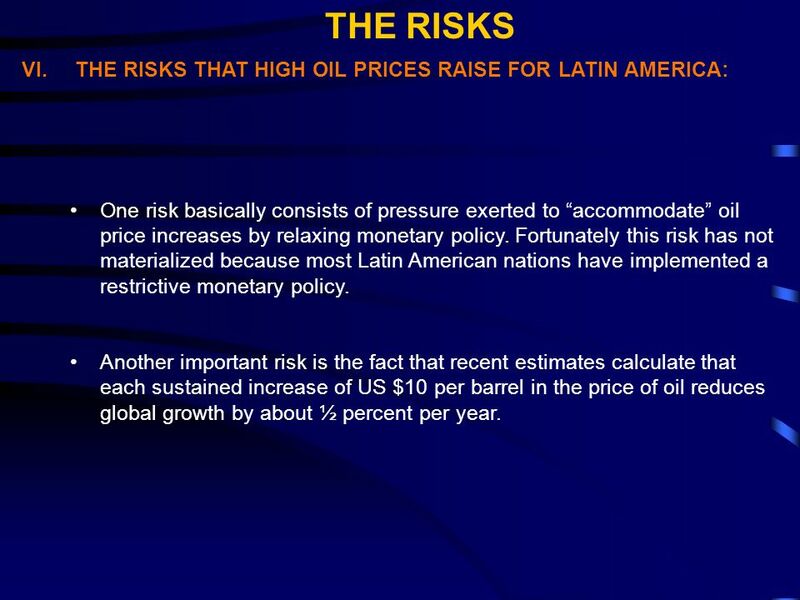 21 THE RISKS The greatest risk to global economic stability is that the governments of key nations (the United States, Europe and China) fail to adopt the necessary measures to correct major macroeconomic imbalances. Europeans and Asians believe the principal imbalance is the low level of savings (especially fiscal savings) and excessive imports from the US. 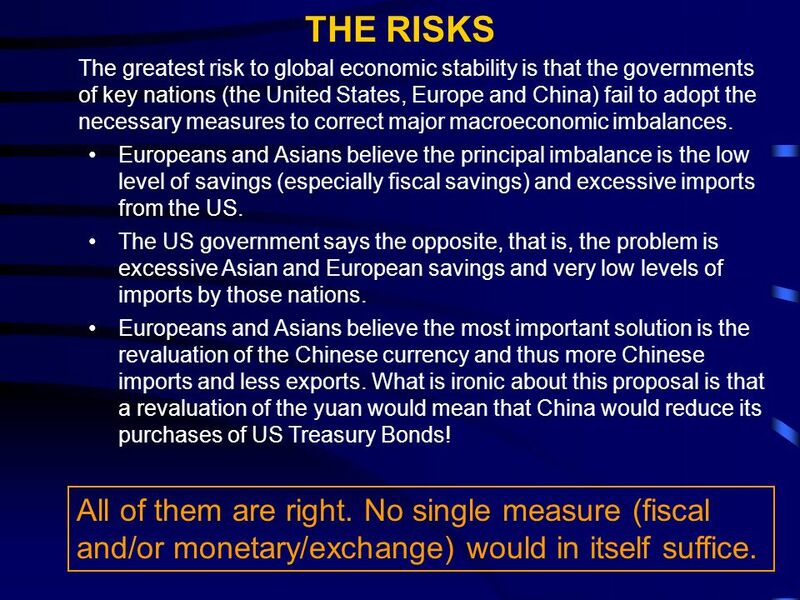 The US government says the opposite, that is, the problem is excessive Asian and European savings and very low levels of imports by those nations. Europeans and Asians believe the most important solution is the revaluation of the Chinese currency and thus more Chinese imports and less exports. What is ironic about this proposal is that a revaluation of the yuan would mean that China would reduce its purchases of US Treasury Bonds! All of them are right. No single measure (fiscal and/or monetary/exchange) would in itself suffice. 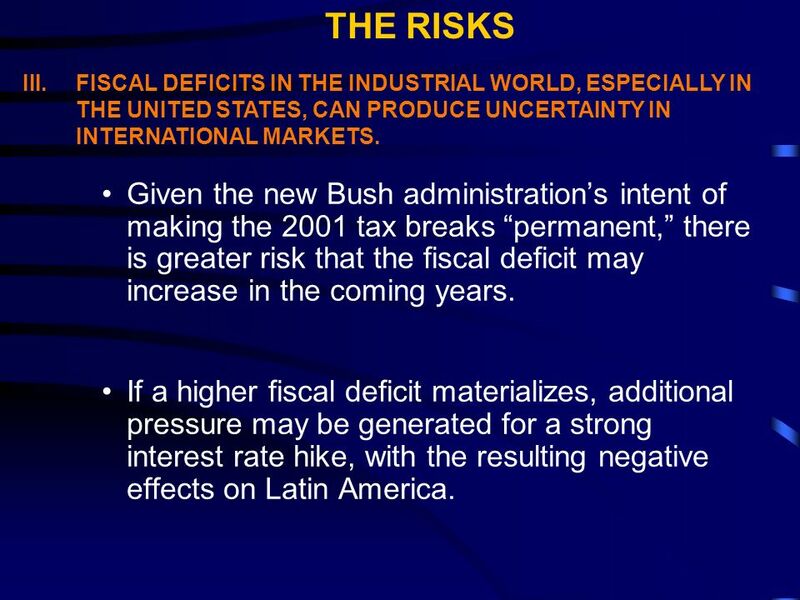 28 Given the new Bush administrations intent of making the 2001 tax breaks permanent, there is greater risk that the fiscal deficit may increase in the coming years. If a higher fiscal deficit materializes, additional pressure may be generated for a strong interest rate hike, with the resulting negative effects on Latin America. 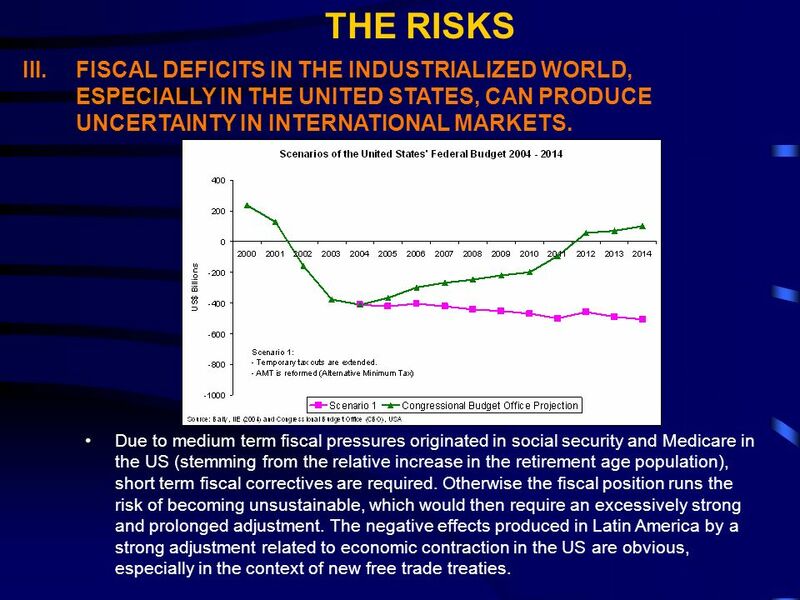 THE RISKS III.FISCAL DEFICITS IN THE INDUSTRIAL WORLD, ESPECIALLY IN THE UNITED STATES, CAN PRODUCE UNCERTAINTY IN INTERNATIONAL MARKETS. 33 Although international reserves have increased significantly, domestic credit has been growing at excessively high rates, increasing potential financial fragility. 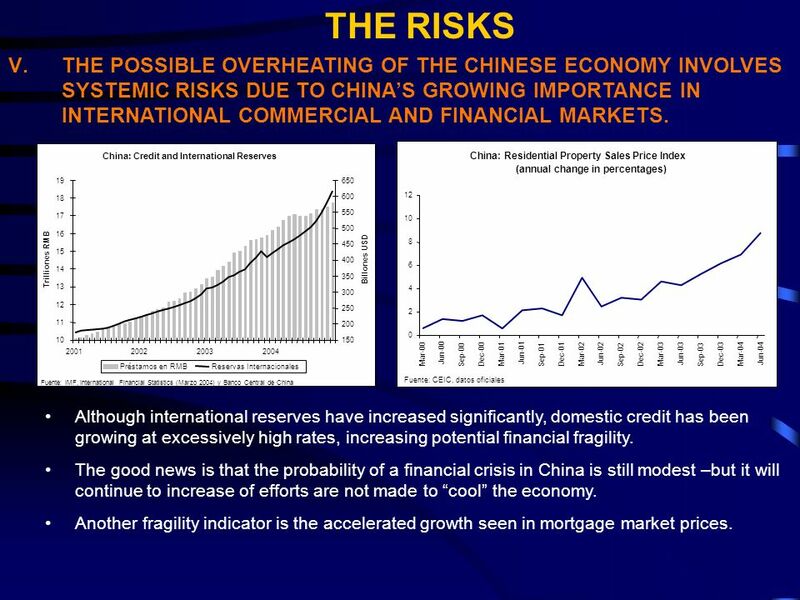 The good news is that the probability of a financial crisis in China is still modest –but it will continue to increase of efforts are not made to cool the economy. Another fragility indicator is the accelerated growth seen in mortgage market prices. THE RISKS China: Residential Property Sales Price Index (annual change in percentages) 0 2 4 6 8 10 12 Mar-00 Jun-00 Sep-00Dec-00 Mar-01 Jun-01 Sep-01Dec-01 Mar-02 Jun-02 Sep-02Dec-02 Mar-03 Jun-03 Sep-03Dec-03 Mar-04 Jun-04 Fuente: CEIC, datos oficiales V.THE POSSIBLE OVERHEATING OF THE CHINESE ECONOMY INVOLVES SYSTEMIC RISKS DUE TO CHINAS GROWING IMPORTANCE IN INTERNATIONAL COMMERCIAL AND FINANCIAL MARKETS. 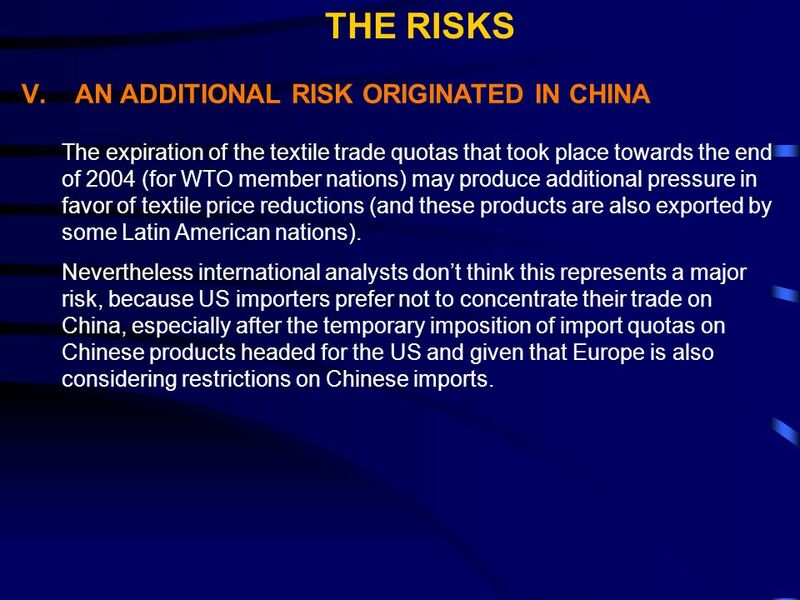 34 The risks originate in the possible effects in international markets of a hard landing of the Chinese economy. 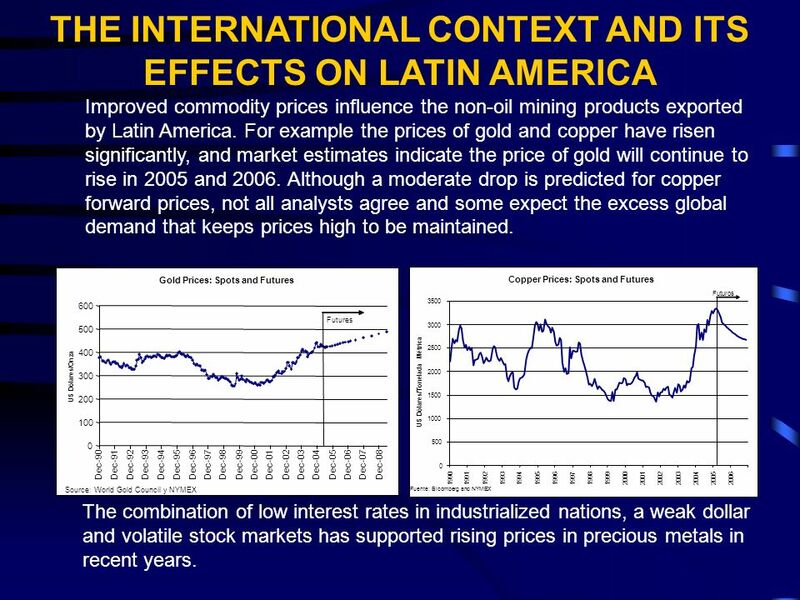 Pressure for a drop in the price of export commodities from many Latin American nations, not only due to reduced direct demand from China, but also to the indirect effect produced on aggregate demand from the rest of Asia. Global recessive pressures stemming from the fact that China accounts for more than 20% of the growth in global trade in recent years. 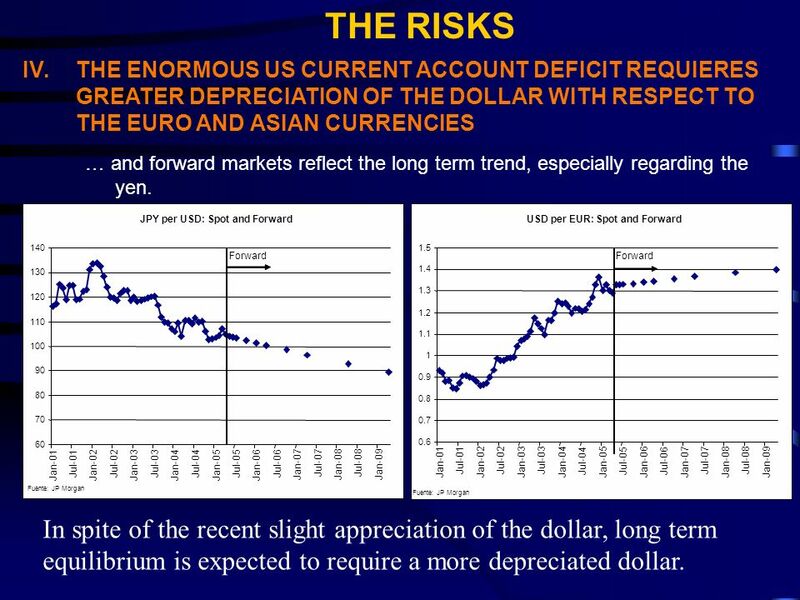 Pressures that reduce demand for US Treasury Bonds, which further exposes the balance of payments imbalances of the US. 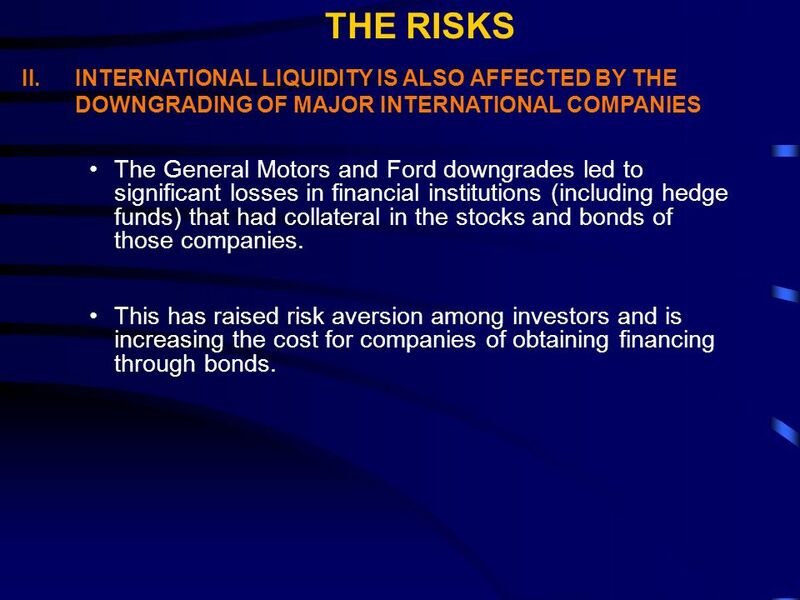 Increased volatility in international financial markets. Experience demonstrates that this volatility tends to increase risk aversion and reduce the financing available to emerging nations. 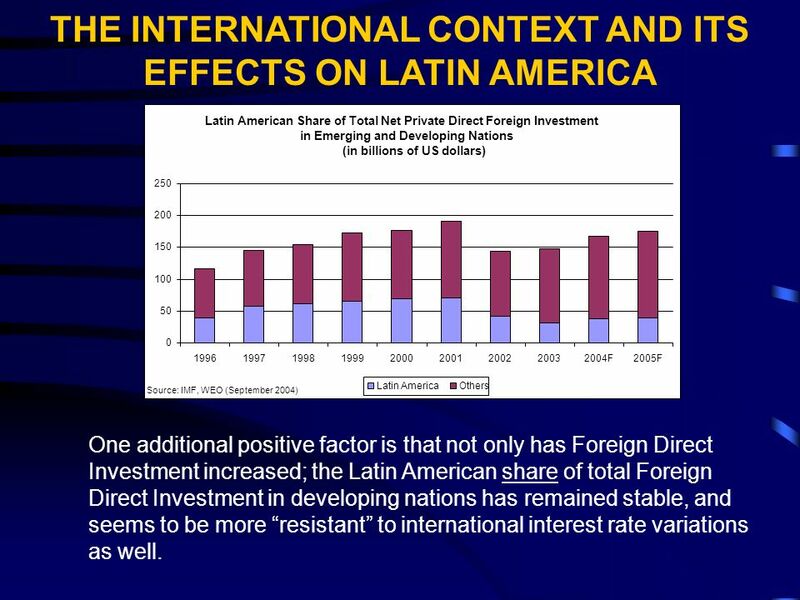 Given the large accumulation of international reserves, no devaluation of the yuan is foreseen, nor any short term improvement in Chinese international competitiveness that could harm Latin American nations that compete with Chinese exports. 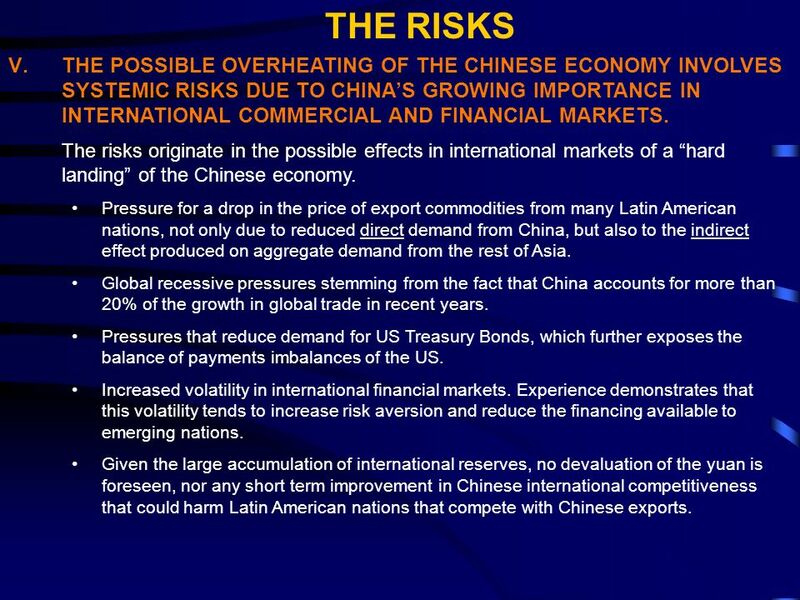 THE RISKS V.THE POSSIBLE OVERHEATING OF THE CHINESE ECONOMY INVOLVES SYSTEMIC RISKS DUE TO CHINAS GROWING IMPORTANCE IN INTERNATIONAL COMMERCIAL AND FINANCIAL MARKETS. 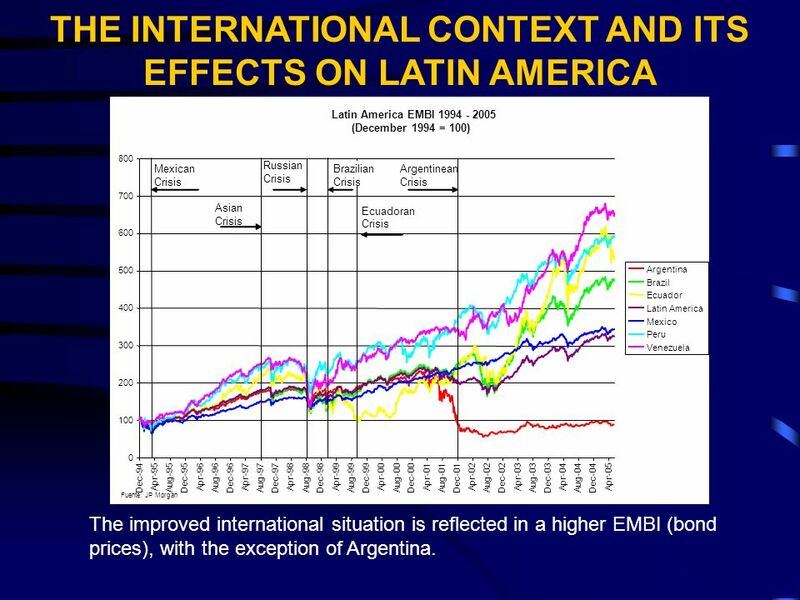 39 VII.A LATIN AMERICAN EXPORT RISK: DISSATISFACTION WITH THE RESULTS OF DEMOCRACY AND THE MARKET ECONOMY. Recent surveys point to a high level of dissatisfaction with democracy and the results of reform in the population. The percentage of dissatisfied respondents is higher than 50% in all nations. This poses a serious risk to the continuation of the reform processes that the region requires, and must be addressed to prevent reform reversals. 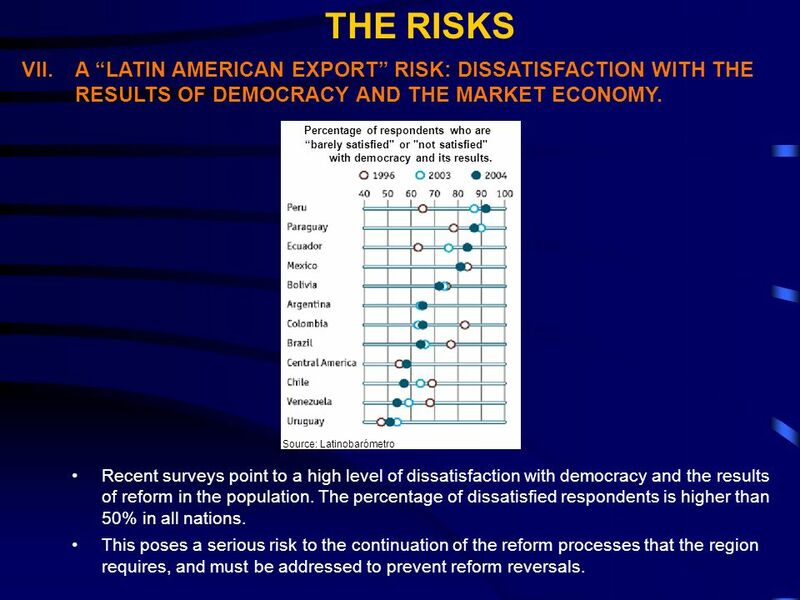 THE RISKS Source: Latinobarómetro Percentage of respondents who are barely satisfied" or "not satisfied" with democracy and its results. 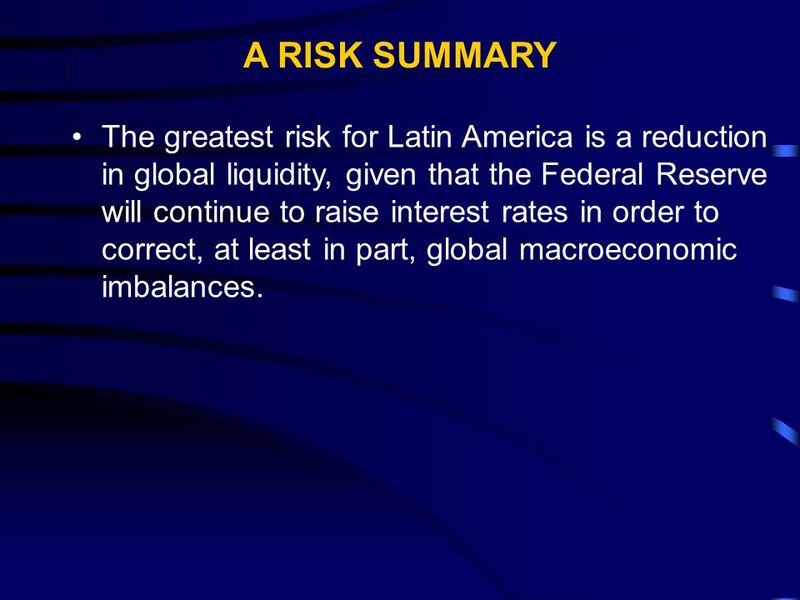 40 A RISK SUMMARY The greatest risk for Latin America is a reduction in global liquidity, given that the Federal Reserve will continue to raise interest rates in order to correct, at least in part, global macroeconomic imbalances. 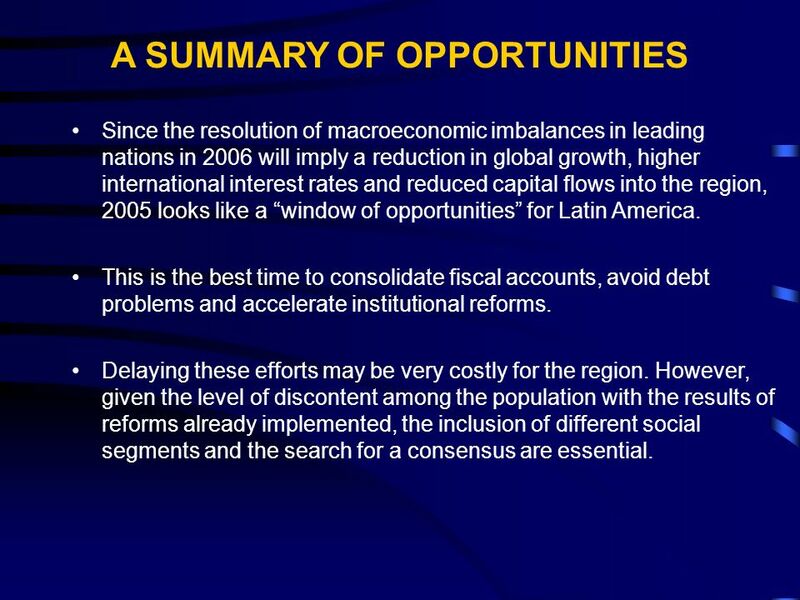 41 A SUMMARY OF OPPORTUNITIES Since the resolution of macroeconomic imbalances in leading nations in 2006 will imply a reduction in global growth, higher international interest rates and reduced capital flows into the region, 2005 looks like a window of opportunities for Latin America. This is the best time to consolidate fiscal accounts, avoid debt problems and accelerate institutional reforms. Delaying these efforts may be very costly for the region. However, given the level of discontent among the population with the results of reforms already implemented, the inclusion of different social segments and the search for a consensus are essential. 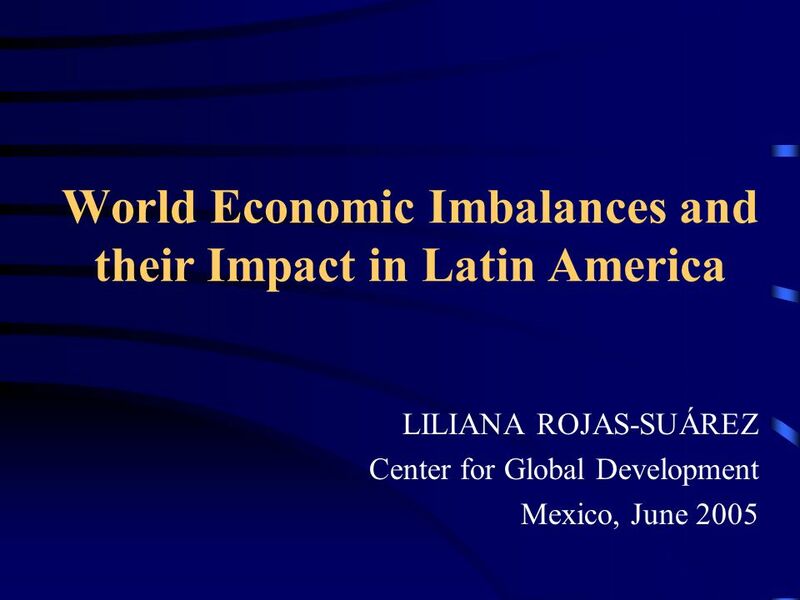 Download ppt "World Economic Imbalances and their Impact in Latin America LILIANA ROJAS-SUÁREZ Center for Global Development Mexico, June 2005." Overheating in Emerging Markets: The Next Crisis? Uri Dadush Carnegie Endowment for International Peace February 16, 2011. 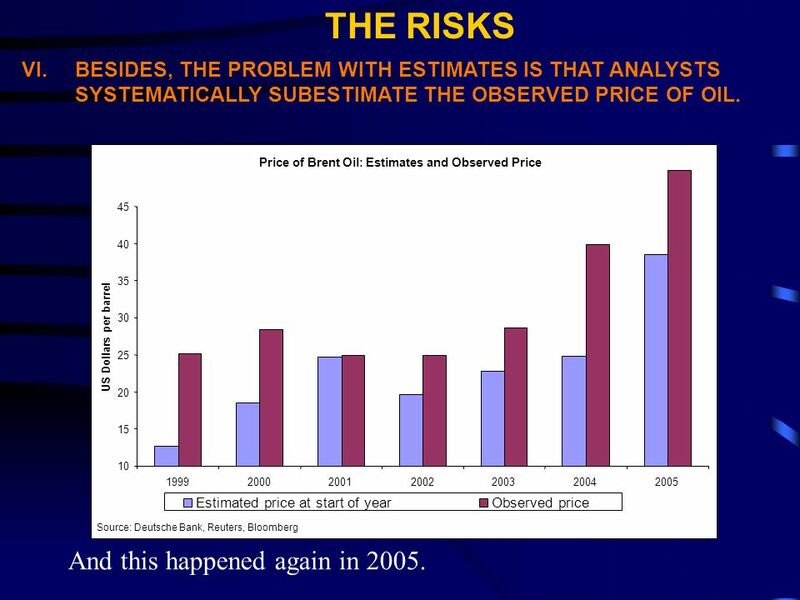 Dimitri B. Papadimitriou GLOBAL IMBALANCES AFTER THE ECONOMIC CRISIS Levy Economics Institute International Development Economics Associates (IDEAs) Conference. Prospects for Financial Reform Huang Yiping Peking University January 7, 2013 New York Stock Exchange. 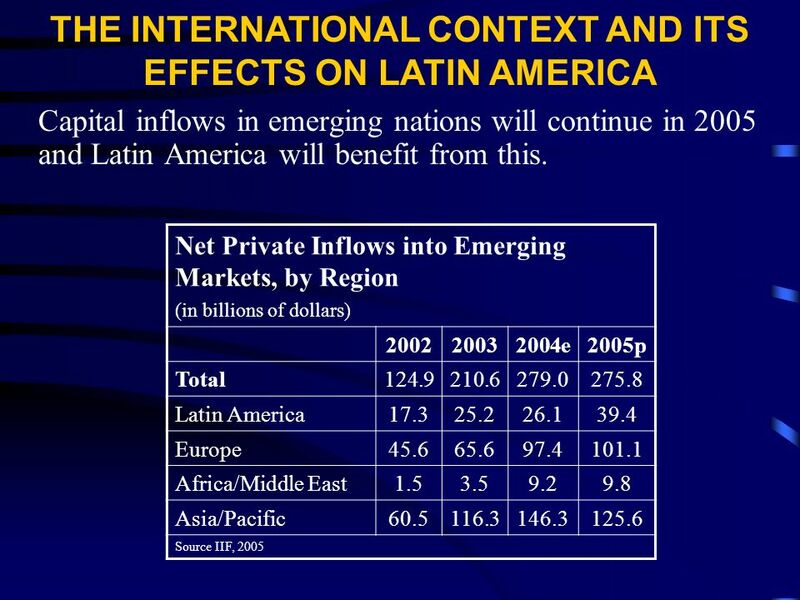 Copyright ©2004, South-Western College Publishing International Economics By Robert J. Carbaugh 9th Edition Chapter 13: Exchange-Rate Determination. Copyright © 2012 Pearson Addison-Wesley. All rights reserved. 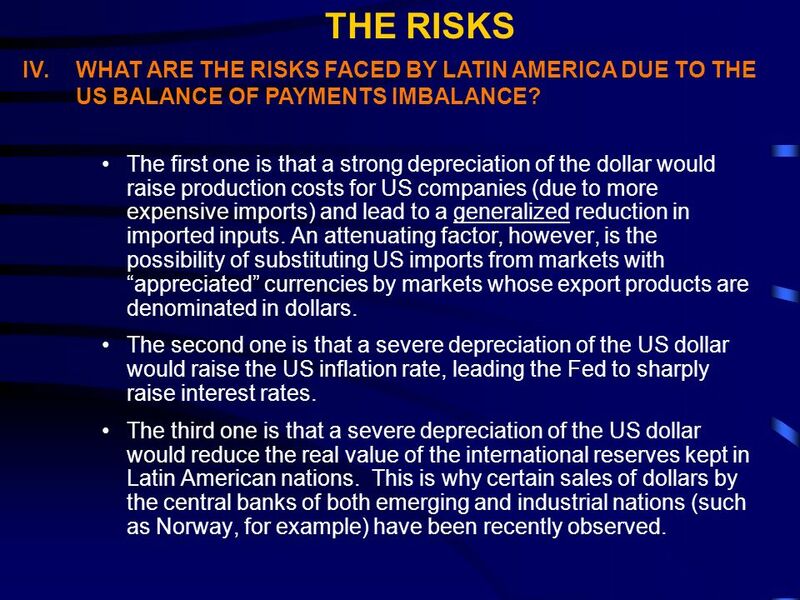 Chapter 13 Balance of Payments, Debt, Financial Crises, and Stabilization Policies. 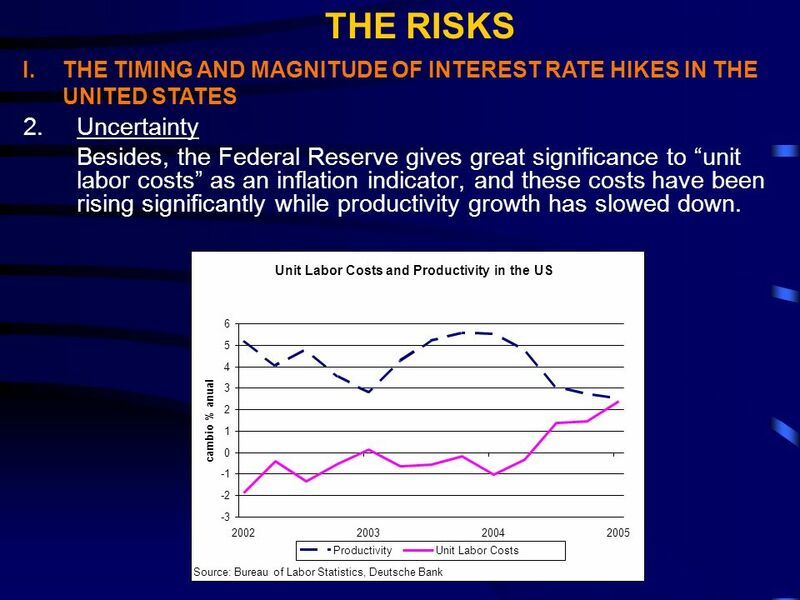 Macroeconomics Unit 17 Global Macroeconomic Issues. 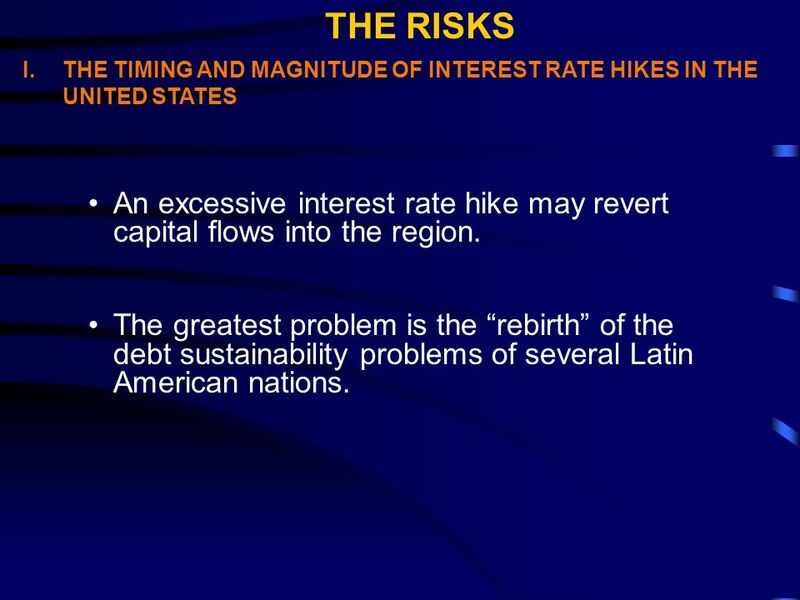 International Banking: Reserves, Debt & Risk Chapter 17 Copyright © 2009 South-Western, a division of Cengage Learning. All rights reserved. Recovery from the Crisis and Looking to the Future: Economic Performance and Prospects Keith Jefferis 29 June 2011. 1 Are Cassandras right? Riccardo Faini Università di Roma Tor Vergata. Revision of the macroeconomic projections for 2011 Dimitar Bogov Governor August, 2011. Quarterly revision of the macroeconomic projections Quarterly revision of the macroeconomic projections Dimitar Bogov Governor January, 2013.